So, in order to keep your dress in tip top shape, you will want to preserve it! Timing Is of Importance. If you are preserving your wedding dress, you will want to ensure that you have it professionally cleaned immediately after your wedding day. If your gown has any stains among it, these marks will set in the longer they are left unattended to, making them harder to get out. So, arrange for your gown to be cleaned as soon as possible. The Right Regime. Each wedding dress is unique in its own way! Therefore, you will want to ensure that you are preserving your gown accordingly. By bringing your dress to a preservation specialist, they will analyze the stains among it, as well as the fabric, accessories, and details, to ensure that the best regime is created for your gown specifically. No matter what, don’t try and remove any stains yourself, as you wouldn’t want to damage such an expensive gown! Leave it to the professionals. Storage. Once your wedding dress is appearing brand-new again, you will want to properly store it. By placing your dress in a storage bag, you keep it free from dust and debris. In addition, avoid storing it in direct sunlight, as it could yellow the fabric. A cool and dark place would be best for storage, or within a preservation box. 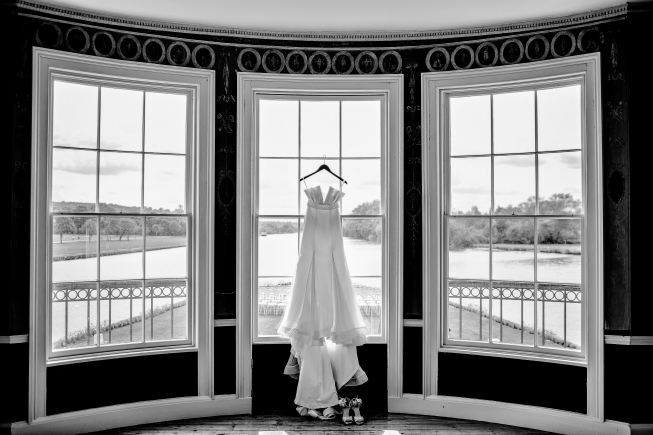 By properly preserving your wedding dress, you can ensure that it maintains its beauty! These are just a few tips to assist you with doing so. If you are all set to discover your dream wedding dress at a Baltimore bridal boutique, please contact us here at Lily’s Bridal & Prom Boutique. As a bridal boutique in Baltimore, Maryland, we would be honored to assist you with choosing yours.